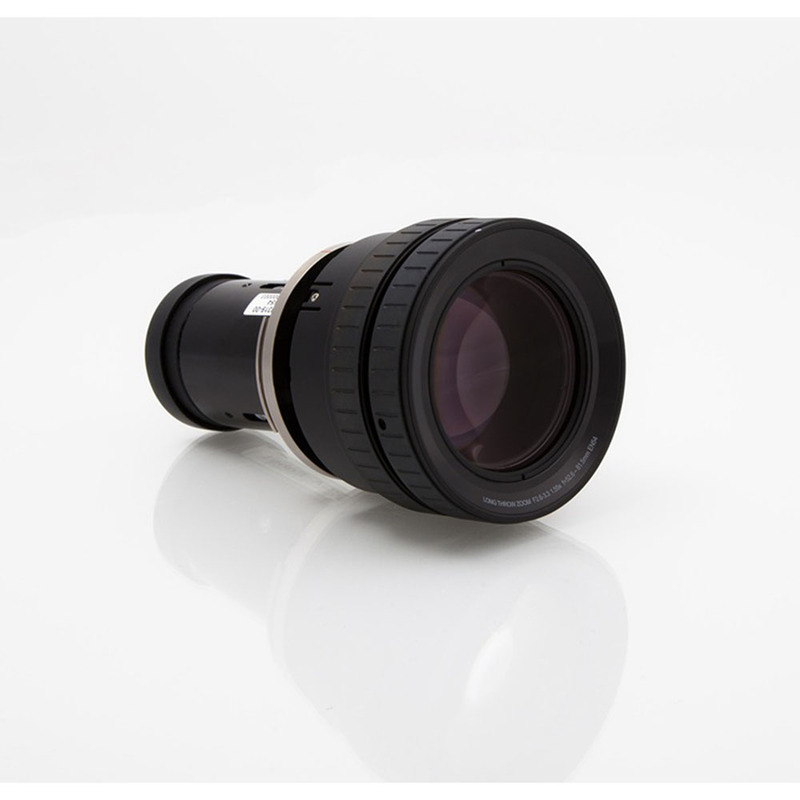 The Barco R9801312 Long Throw Zoom Lens 2.5-3.9:1 (EN54) is an option of the following Barco projectors: the CTHD-61B, the CTPN-41B, the CTWU-61B, and the CTWQ-51B. This lens has a focus range of 5 m - 25 m and a focal length of 52.6 – 81.5 mm. Extended focus range is available, please contact sales for details.